Nice hotel right in the centre of Bergen. 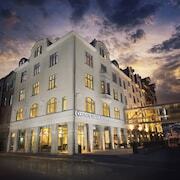 The hotel is very well located in the historic Bryggan district of Bergen. 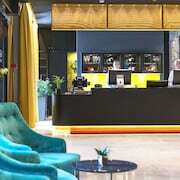 Had a wonderful time in Bergen at the Zander K. Quirky furnishings that reflect the predisposition of Bergen to rain and the friendly and accommodating staff made our stay very memorable. Which hotels are closest to the Bergen airport? Can you find accommodation in popular areas of Bergen? Where to stay near top Bergen attractions? 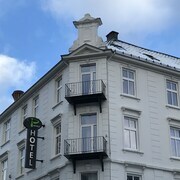 What kind of hotels are in Bergen? Which hotel chains are in Bergen? History buffs will enjoy exploring Bergen, and visitors give high marks for the seafood restaurants, shopping, and local tours. Walkable and culturally-rich, this city will delight tourists with its museums, mountain views, and cafés. Top sights in the city include Hanseatic Museum, Floibanen Funicular, and Grieg Hall. The city is well known for its museums and live music, and cultural venues include Hanseatic Museum, Grieg Hall, and Den Nationale Scene. The city is notable for its historic sites and landmarks like St Mary's Church, Troldhaugen, and Rosenkrantz Tower. The city's natural setting is picturesque, including the mountain views and Mt. Floyen. 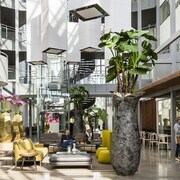 Scandic Flesland Airport - With a stay at this 3.5-star hotel, guests can enjoy access to free breakfast and a restaurant, along with free WiFi. It's a favorite with Expedia travelers for its breakfast and clean, comfortable rooms. 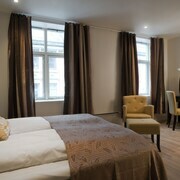 Comfort Hotel Bergen Airport - Our customers like the dining options and comfortable, quiet rooms at this hotel. 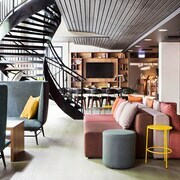 With a stay at this 3.5-star hotel, guests can enjoy access to free breakfast and a restaurant, along with free WiFi. 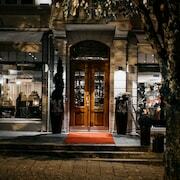 Hotel No13 - This 4-star hotel in Bergen City Centre features free breakfast, a restaurant, and free WiFi. Expedia customers like its breakfast and helpful staff. Other top sights in Bergen include Floibanen Funicular. With so many ways to get around, exploring Bergen is simple. You can take advantage of metro transit at Byparken Station, Nonneseteren Station, and Bystasjonen Station. If you want to see more of the area, hop aboard a train from Bergen Station, Bergen Arna Station, or Bergen Takvam Station. Bergen is known for being walkable and family-friendly with many neighbourhood options for restaurants, bars, and cafés. The neighbourhood's charm comes through with its friendly people. Broaden your horizons with some local live music. 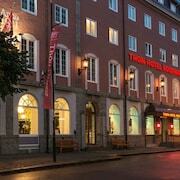 Hotels in Bergen provide a good starting point for sightseeing in and around the Garnes area. The museums and historic landmarks are some of the local highlights. 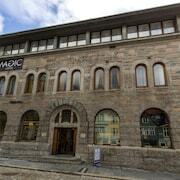 Stroll the halls at VilVite Science Center, Bergens Tekniske Museum, or Bergen Art Museum. You can buy tickets to live performances at Grieg Hall and Den Nationale Scene. Fantoft Stave Church, Gamlehaugen, and St. John's Church are a few landmarks that can't be missed. Be sure to get some family photos at Ulriken Cable Car, Floibanen Funicular, and Bryggen Waterfront. You can get some shopping done while you're here, or take part in any number of other activities. You can spend a leisurely day outdoors at Mt. Floyen or Arboretum and Botanical Garden. Explore nature at Steinsdalfossen Waterfall and Bekkjarvik Marina. With a shopping trip to Xhibition Mall, Galleriet Shopping Centre, or Torget Fishmarket, you might find that perfect souvenir. You won't be disappointed visiting other sights like Brann Stadium, Ulriksbanen, or Kloverhuset Shopping Centre. Some of the area's most popular sights are Hanseatic Museum, St Mary's Church, and Troldhaugen. Arenum Exhibition Center, University of Bergen, and Leprosy Museum are other must-sees. For a quick way to explore the city, catch a ride on metro transit at Brann Stadium Station, Wergeland Station, or Kronstad Station. To see the sights outside of town, hop aboard a train. Bergen Station is the closet train station, but Bergen Arna Station and Bergen Takvam Station are also nearby. You can inquire about options for water travel at the port. The closest major airport is Bergen (BGO-Flesland), located 11.6 km (7.2 miles) from Bergen. 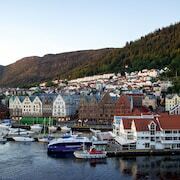 What are the most popular hotels in Bergen? 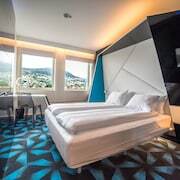 Are there hotels in cities near Bergen? 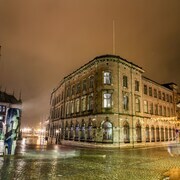 Explore Bergen with Expedia.com.au’s Travel Guides to find the best flights, cars, holiday packages and more!